Takeaway: Combining the Getting Things Done framework and the Pareto Principle can help you approach your safety goals more systematically. 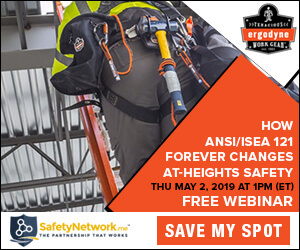 All safety professionals at one time or another experience pure overwhelm when trying to juggle all their daily responsibilities – not to mention making real progress to improve their company’s safety program. With all the responsibilities and never-ending to-do lists, how can you make the most out of your time and energy? What should you focus on next? One effective way to approach this issue is applying the framework from David Allen’s book Getting Things Done paired with the Pareto Principle (also called the 80/20 Rule). David Allen's Getting Things Done is a framework for organizing the tasks you need to complete. The theory behind his system is that organizing what you need to do and having a foolproof system to track it all frees up your brainpower. Instead of your brain busily worrying about having to remember everything that needs to get done, it can focus on more productive thoughts. In short, the brain can focus less on what needs done and more on how to actually accomplish it. The framework for tracking tasks includes the use of several lists. To save time I will not discuss his entire system, but stick to a few key points that may help you organize your to-do list to get to a focused starting point. The first step in the Getting Things Done framework requires creating an “in” list. This is basically a brain dump where you put everything you need to get done or any ideas you want to hold on to. Once this initial brain dump is complete, you'll be left with a list that might make you feel stressed when you look at it – everything you have to do, all listed in one place. The good news is that it is now out of your head and on paper. Once you have your list, go through each item and either throw it out, take action on it, or send it to another list for later. Now, the tasks that are still left on your “in” list can be broken down into smaller actions. Ask yourself, “What is the next real physical action that will move a task forward?” By asking this question, you will be able to come up with a specific action you can take to move the larger task toward completion. One of the golden nuggets in Allen’s book is the two-minute rule. When you break down your larger tasks into smaller actions, you'll see that some of them are quick. When you find any that require only two minutes (or less) to complete, you should get these done immediately. The idea is that it takes more time and energy to worry about tracking every action or having it lurk in the back of your mind than just getting it done will. After you process your “in” list, you will be left with tasks and actions that have found their way to the other lists in the framework. But let's focus on the “projects list.” The projects list includes all the items that are too large to tackle with quick, simple actions. It probably includes all the large safety projects you need or want to complete to improve your safety program. While Allen’s framework is great for freeing up much needed brain space and getting a handle of all the tasks you need to do, it leaves it up to you to decide what projects you should spend your time completing next. By using the 80/20 Rule, you can choose to tackle the projects that will yield the most results out of your work. By now, most professionals have heard of the 80/20 Rule. For those who have not, it's a principle named after the Italian economist Vilfredo Pareto. Pareto observed in 1895 that 80% of the wealth of Italy was owned by 20% of the population. Pareto and others studied this principle over time and applied it to different areas of life and found that it held true in other contexts. The principle seems to be especially valid when applied to business processes. While it won't always be an exact 80/20 ratio, the idea is that 20% of your actions will drive 80% of your results. To use a simple example: the majority of your company's total sales can be attributed to a minority of its salespeople. Understanding the 80/20 principle is important when trying to decide what next big project you are going to tackle. If 20% of actions will drive 80% of results and you have limited time, money, and energy, then you need to make sure you focus on the one or two projects that will bring the most results. By laying everything you need to get done out in front of you and using a systematized way to track and complete it all, you can focus on the next big thing that will make the most difference in advancing your safety program. Out of the big projects you have listed, which one of them will make the biggest difference in achieving the larger safety goals set by your organization? If the goal is to prevent injuries and everything on your project list will in one way or another prevent injuries, use data to evaluate each option. Using information such as near miss reports, employee complaints, OSHA logs, and industry trends will allow you to take an objective approach to choosing which project to complete next. Once the projects with the greatest impact have been completed, you can continue going down the line of other projects on your list. Being a safety professional can sometimes feel like being a hamster on a wheel. Limited time, resources, and energy paired with a long list of responsibilities can lead to an endless chase of putting out fires. This hinders your ability to make substantive progress on your company’s safety goals. With the Getting Things Done framework and the 80/20 Rule, however, you can create a roadmap that will you to real progress with your company's safety goals.